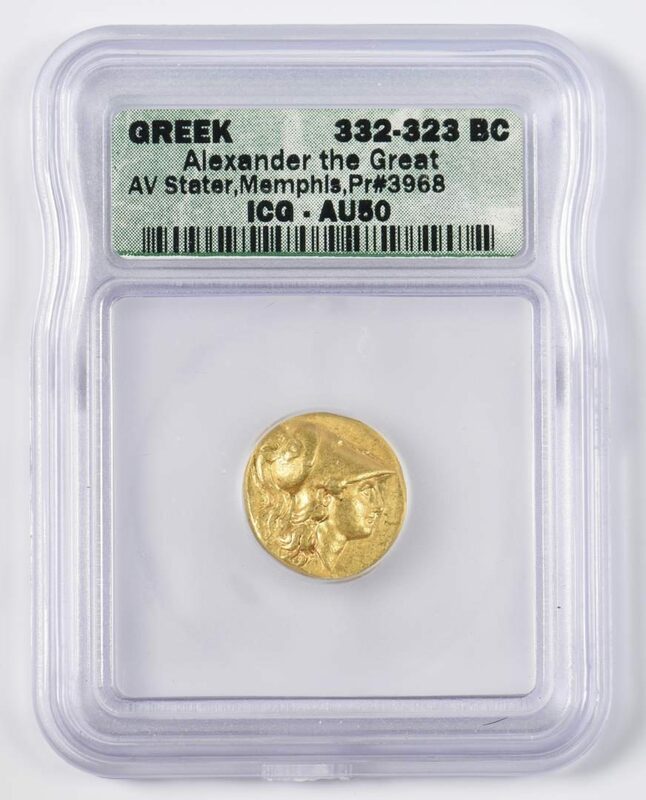 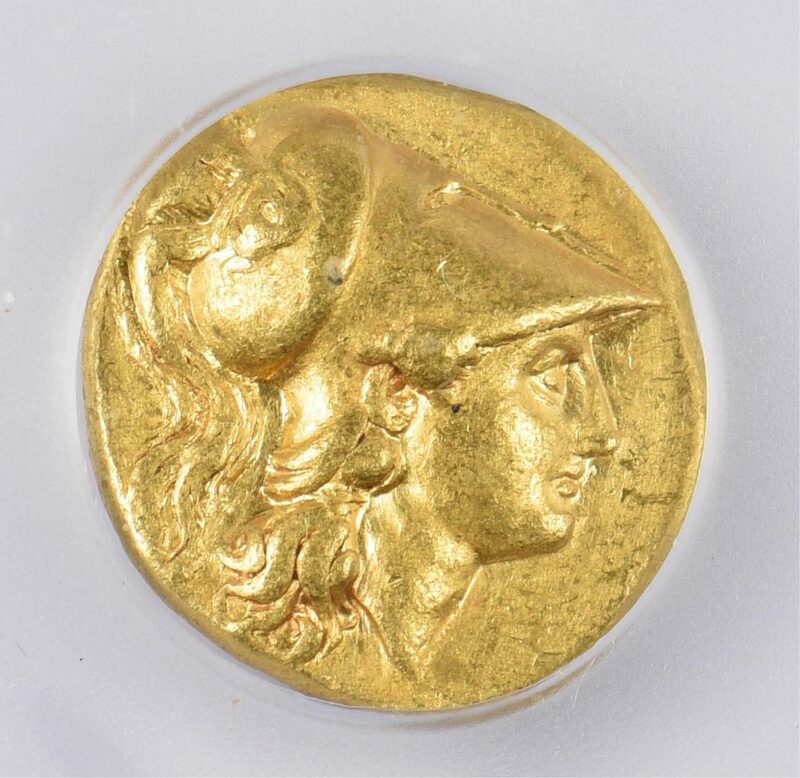 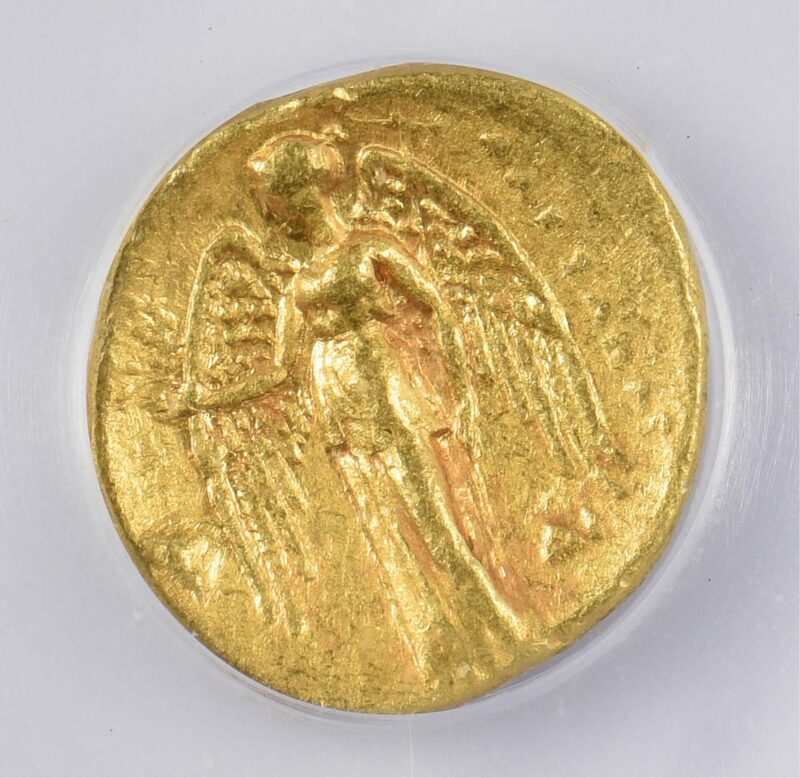 Greek Macedon Kingdom, Alexander the Great Gold AV Stater coin, Memphis Mint, obverse of coin with head of Athena wearing a Corinthian helmet and a standing Nike with wreath and stylus on the reverse. 332 – 323 BC. AU50 grading by ICG. 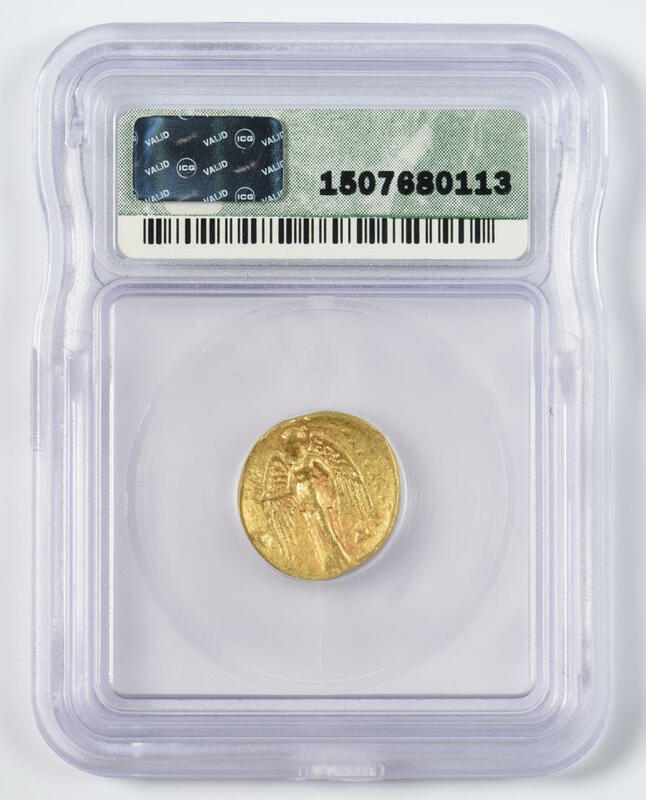 CONDITION: AU50 grading by ICG.